Get out from behind the camera and start living in the moment. 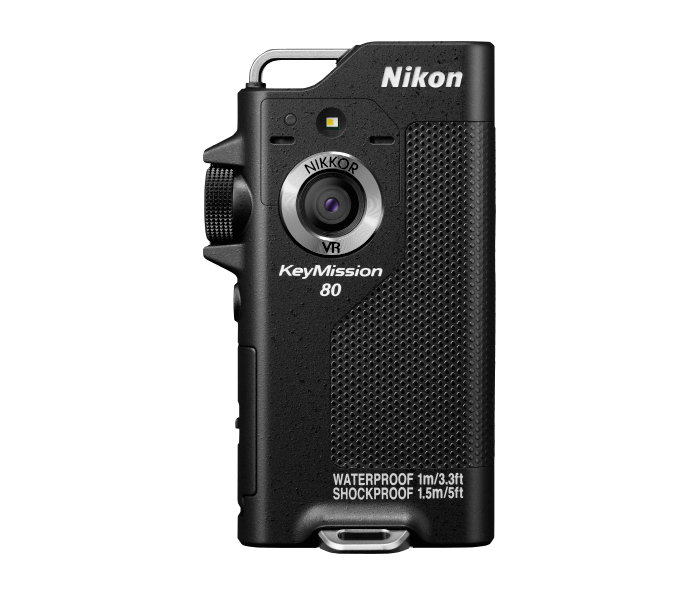 Waterproof, shockproof and freezeproof, this fast-performing wearable camera can capture every moment of life in brilliant Nikon image quality. Clip it on and effortlessly record outstanding 1080p videos and 12-megapixel photos without interrupting the moment. SnapBridge maintains a constant connection with a compatible smartphone for instant viewing, sharing and even remote camera control. Record videos, photos, time-lapse sequences, an entire day in life and much more.